Published in 2017, Sustainability – A Guide for Boards and C-Suites is a great way to engage your Board, CEO, C-suite and other leaders in your company about sustainability. Hand them a copy of this book. Short and Concise – The book is small (~6” x 9” and ~100 pages) and easy to read. 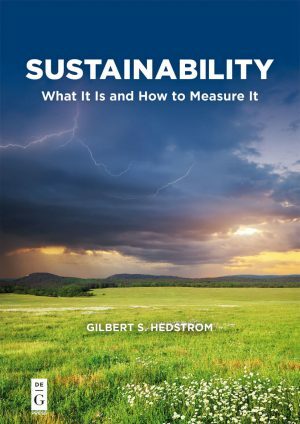 Frames the Sustainability Conversation – This book will greatly help sustainability leaders create the right strategic conversation about sustainability in your company. Bulk Orders – If you order through this site, get savings on bulk orders. Purchase five or more books, you’ll get one free; buy 10 or more books and get two free. Students – A coupon code (email Gib Hedstrom) provides a 30 percent discount. 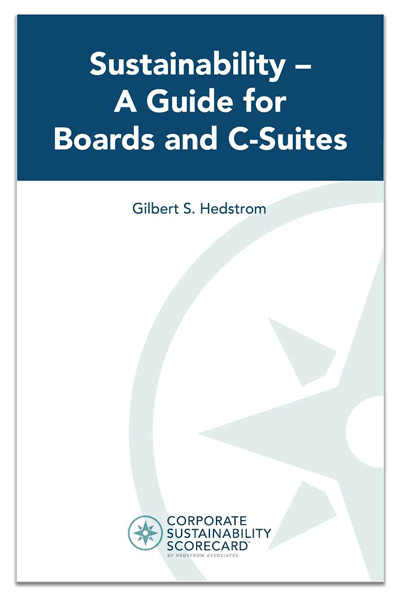 Note: Customers outside of the United States are encouraged to purchase Sustainability – A Guide for Boards and C-Suits through Amazon and Kindle here.